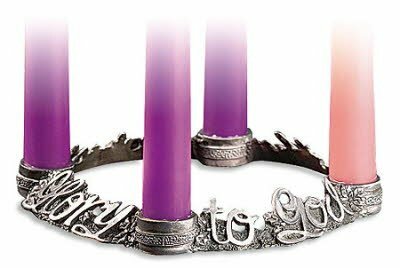 Inside: We’re talking about our favorite Advent wreath ideas today. Whether you’ve got a heirloom Advent wreath, or just starting out, you’re sure to find a style here that suits you perfectly! 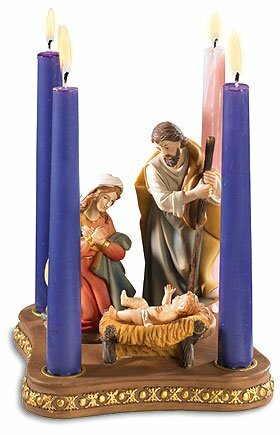 Are you ready to celebrate the liturgical year in your Catholic home? One of our family’s favorite Advent traditions is the Advent wreath. My children look forward to every evening, when we sit down to dinner together and light our Advent candles for the meal. 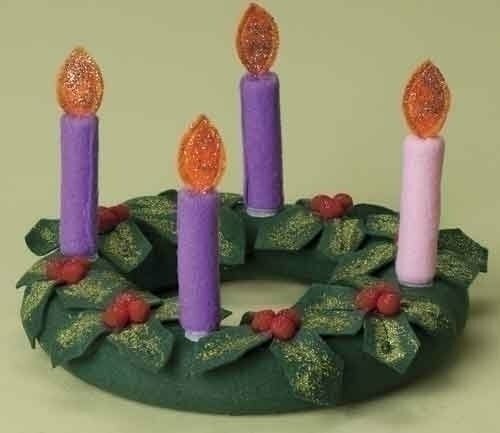 Every Catholic family’s Advent wreath is sure to look a little different. Ours is square, made of reclaimed wood from a friend’s farm. My mother in law’s is a traditional brass ring with greenery, while a good friend of ours has a ceramic style. We begin lighting our Advent wreath on the first Sunday of Advent – in 2017, this is December 3rd. (and the feast of St Francis Xavier) We continue lighting candles every evening, adding a candle each Sunday until Christmas. On Christmas Day, we switch out the taper candles to red, then add a white pillar candle in the middle. We keep lighting our candles each night, all the way through to our Epiphany activities. 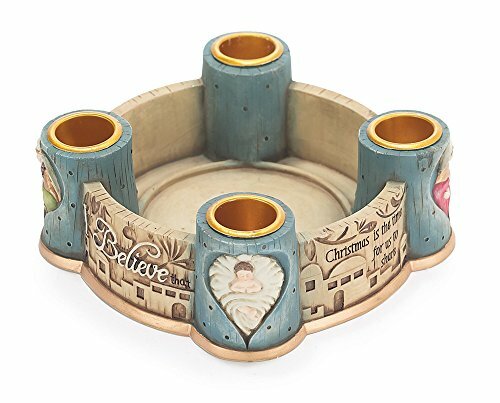 This charming Advent wreath is made of resin (less likely to break with rambunctious children), and has a different scene from the Nativity pictured on each side. 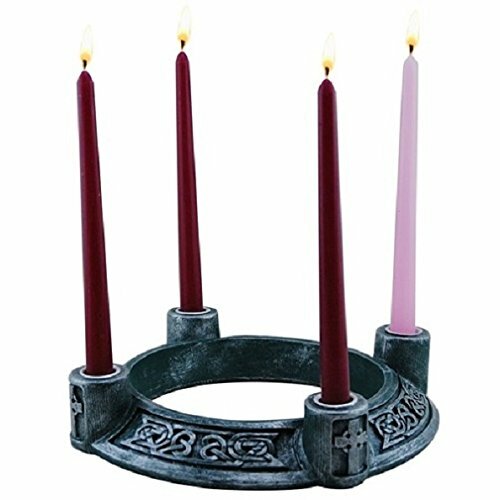 I’ve got my eye on this Celtic Advent wreath to add to our home. I’m thinking displaying this one on the foyer table. 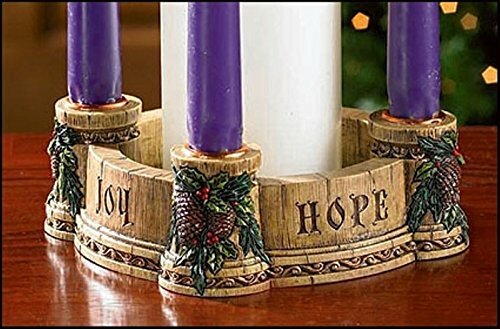 This lovely stoneresin Advent wreath has words etched on each side – Hope, Joy, Love, Faith. Looking for a pewter wreath for Advent? This unique style has ‘Glory to God in the Highest’ as a border script. 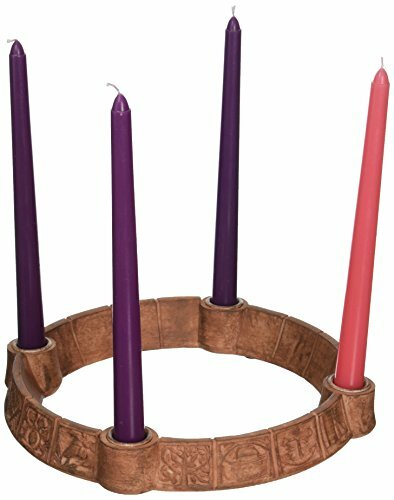 Wondering how to fit an Advent wreath on your smaller tables? Take a look at these ideas. 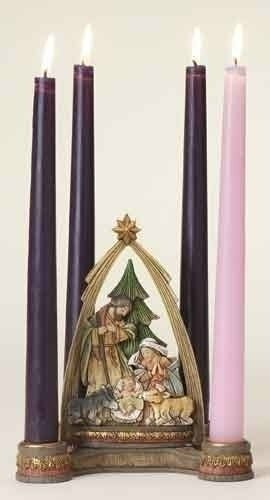 This Nativity Arch Advent wreath is perfect for a side table, or a small kitchen table. I also spied this Holy Family Advent wreath, created in a Fontanini style. If you’re stressed about children breaking an heirloom Advent wreath …. RELAX. You need to add this fabric Advent wreath to your shopping list. It’s perfect for toddlers and preschoolers. Want the look and texture of carved wood for your Advent wreath? This style is your answer, plus it includes your Advent candles! 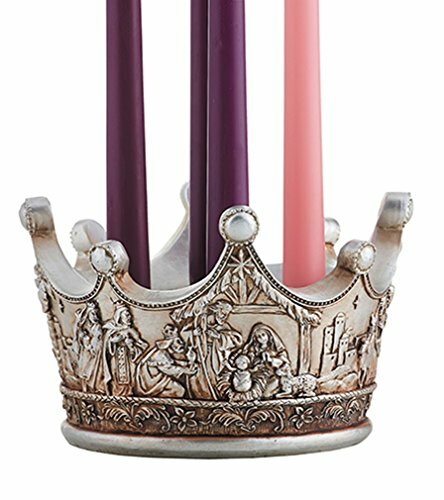 This crown Advent wreath is absolutely precious, designed with a wrap-around Nativity scene. 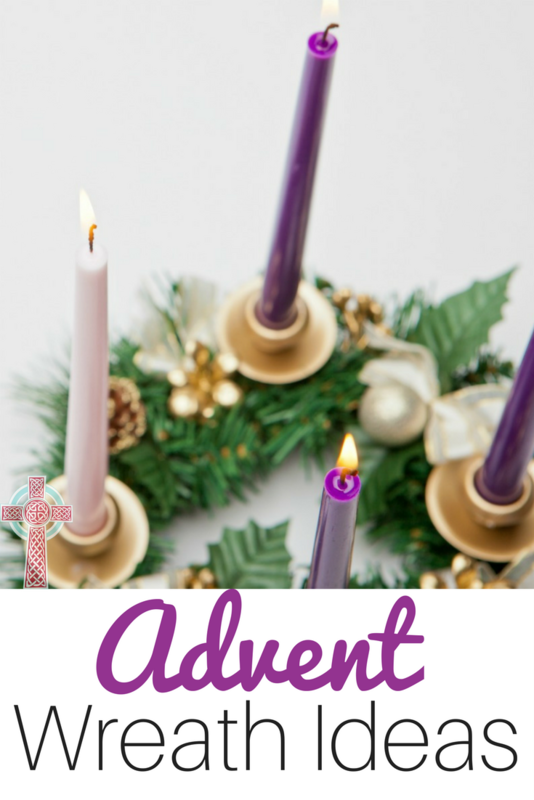 Looking for an Advent wreath to fit a neutral decor? 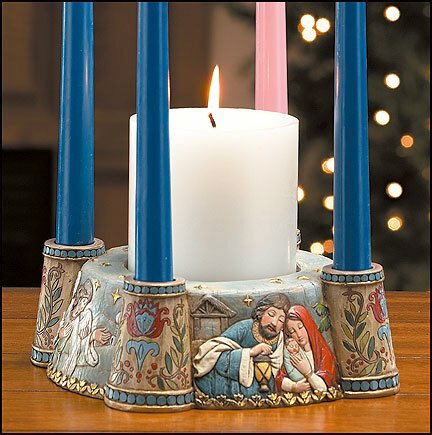 This round resin wreath has detailing on each candle holder depicting the cross, the Infant Jesus, Mary, and St Joseph. After dinner, spend some time with your children and have fun with these Advent crafts and activities. I’d love to hear about the Advent wreaths in your home. Do you have more than one? Chat me up in the comments. Yet another use for those 30,000 tobacco sticks!